Formulated as a vitamin A alternative lotion to use when retinoids are contraindicated. This anti-ageing complex helps skin feel and appear firmer and smoother, while providing immediate skin softness upon application. Perfect for use with our SWiCH Dermal Rejuvenation System. Mimetic of superoxide dismutase and catalase enzymes. Scavenges superoxide, eliminates hydrogen peroxide, transforms reactive oxygen species to water and oxygen, reduces free radical lipid and DNA damage in the skin. Protects and stimulates mitochondria by increasing ATP levels, improves skin radiance. Stimulates cell respiratory activity and cell turnover, revitalizes metabolism, and strengthens the skin’s self protection mechanisms. Immune stimulant, activates the skin’s natural repair system. Biomimetic of thymopoietin, boosts skin regeneration and reinforces cutaneous immune defenses. 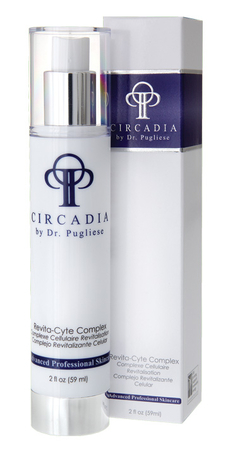 Stimulates desquamation, differentiation and transglutaminase expression to regenerate skin. Improves tensile strength, smoothness and texture. Evens out skin and smooths wrinkles by stimulating constituents of skin matrix and the dermal-epidermal junction (i.e. collagen I, II, IV, fibronectin, hyaluronic acid, and laminin 5). Anti-aging, enhances expression of circadian genes, optimizes cell defenses and renewal activities, and vitamin D transformation. Anti-inflammatory, anti-irritant, anti-bacterial and non-allergic. Rich in adaptogens which help protect, nurture and heal damaged cells. Also high in leontopodic acids A and B, chlorogenic acid, 3,5-dicaffeoylquinic acid, phytosterols, amino acids and polysaccharides. Use nightly, after cleansing and applying Vitamin C Reversal Serum. Pump a pea-sized amount onto fingertips and apply gently to the face and neck with upward strokes.